By Sadiq Umar – The Nigerian government has deported 36 Indians and two nationals of the Democratic People’s Republic of Korea nationals. The government announced the deportation in a statement by the Permanent Secretary of the Ministry of Interior, Mohammed Umar, in Abuja Tuesday. 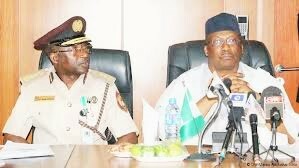 Interior Minister, Abdulrahman Dambazau, who signed the deportation order, said it is pursuant to section 45(2, 3 and 4) of the Nigeria Immigration Act 2015. According to the statement, the Indian nationals entered the country with fake visas and counterfeit immigration stamps, while the Korean nationals failed to regularise their stay upon the expiration of their contract with Zamfara government. Mr. Dambazau gave the names of the affected nationals as: AN CHUN SIK and Mr JON SU GYONG of the Democratic People’s Republic Of Korea. The minister advised all foreign nationals to operate within the provisions of the law as the nation would not compromise its immigration laws.